There may be 50 Shades of Gray, but you only need three shades of purple to wow your friends, coworkers, and family members. 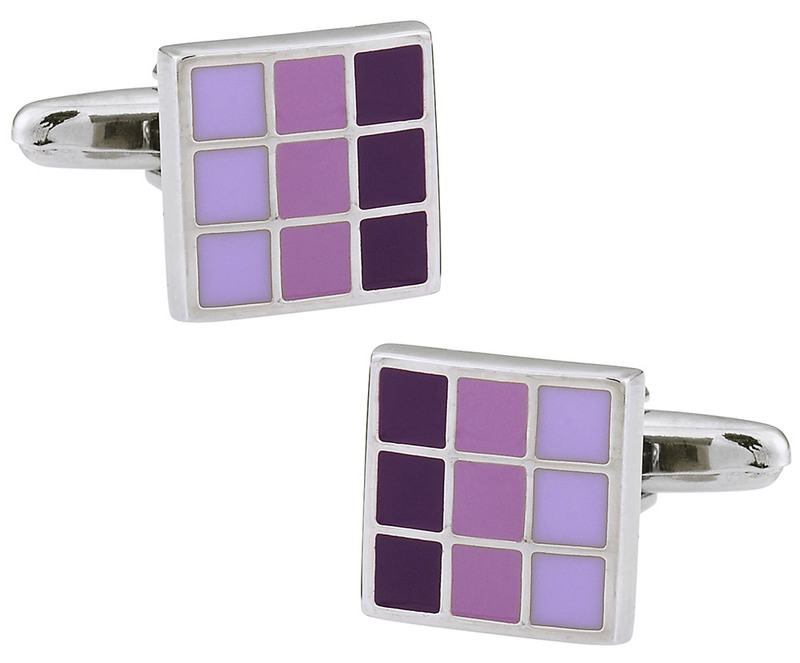 Purple cufflinks present three shades of purple on nine squares for each cufflink. Think outside of the fashion box by giving the innovatively designed cufflinks to someone who likes to push his or her wardrobe to the limit. The semi-bezel shaped cufflinks present a proportioned appearance that increases the size of the silver mount. These cufflinks also complement colorful blouses. Purple, the color of royalty. These stand out as very appealing and gives me an image or being kingly or princely. they are great.